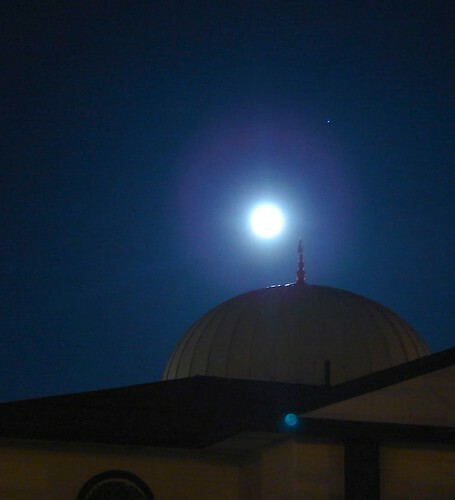 The moon was full and the memory card in the camera empty, so I took a quick jaunt over to the local mosque in the hopes of finding the moonlit mosque to be a poetic sight. It exceeded my expectations. 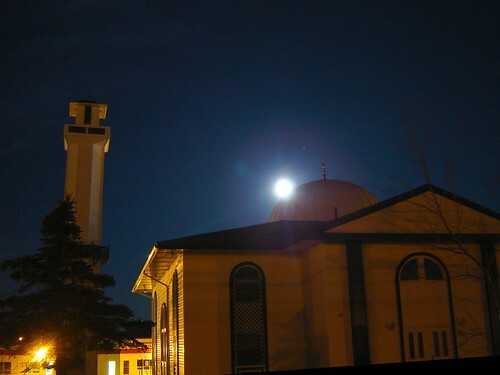 Here are three shots of the Al-noor Mosque in St. John's Newfoundland. There is a vibrant, but small, Muslim community here and this is their place of worship. A beautiful building in a rather bleak setting, but it look much nicer at night. 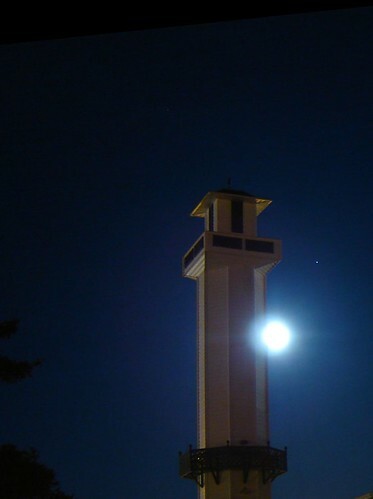 This minaret or pillar outside the Al-Noor Mosque in St. John's, Newfoundland is symbolic of a muslim call to worship. Breathtaking. It was very cloudy here but, amazingly, when I took the dog out for his walk, the full moon could be seen thru the scutting clouds. It was a nice night so I sat for a bit and star gazed while the dog checked out smells. Excellent shots – esp. the first one!